Pilates is a form of exercises developed by Joseph Pilates in the early part of the twentieth century. Joe was a sickly child, but determined to overcome his physical ailments, he studied yoga, Zen meditation and the rigorous exercises regimes of the ancient Greeks and Romans. During the First World War, he developed gentle training regimes for the sick people in the infirmary, who subsequently demonstrated improved recovery. Following the war, Joe went on to develop his regime, and quickly gained a good reputation among the dancing community in Germany and New York. Modern Pilates trains the deep stabilising muscles of the pelvis, trunk and shoulder girdle. Pilates helps to improve strength, flexibility and mobility. Find out more about the principles of Pilates. The Australian Physiotherapy and Pilates Institute (APPI) is a firmly established international training institute founded by Physiotherapists Elisa and Glenn Withers in response to the demand for rehabilitation based Pilates teacher training. 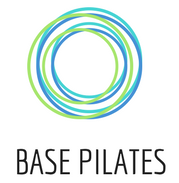 The traditional Pilates repertoire is broken down into defined levels, to allow clients to progress safely towards normal movement and function. Modified Pilates is ideal for individuals who suffer with chronic back pain, as well as those who simply want to maintain strength and flexibility for injury prevention, or as an adjunct to other sporting activities such as running. I came to Pilates after attending a Kinetic Control course, where I learned that my own hip pain was down to muscle imbalance. My hip pain eased after only a few sessions of Pilates, and I was sold on the Pilates concept. Since my initial Pilates training I have developed a practice which encourages clients to explore movement in a way which feels comfortable for them, whatever their starting point. I believe the the benefits of Pilates are realised through regular practice and time – there is no quick fix or rapid results!